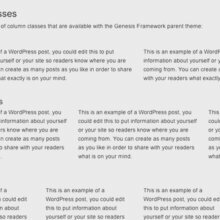 Genesis themes are free for WPEngine customers, or can be purchased from StudioPress. Add this code automatically add your category or tag’s name to the top of category/tag archives. HTML5. Responsive Design. 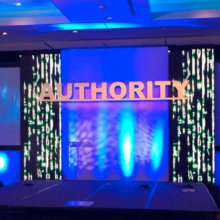 You’ve heard the buzzwords, but don’t know exactly why your website needs them. I’ll guide you through the latest tools your developer should be using, when they are appropriate, and the value they can bring to your business. Don’t want “Blog” and “Archive” templates available in your child theme? 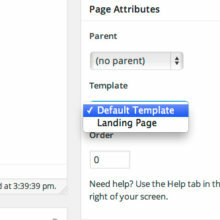 Now that’s possible with WordPress 3.9. 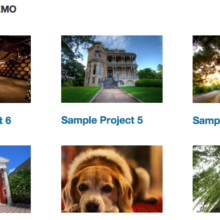 I walk you through adding a portfolio to your child theme, using an existing plugin and a few tweaks to your theme. Column classes allow you to break a page’s content into multiple columns. I’ve built a calculator so you can update the column classes to match your site’s grid. 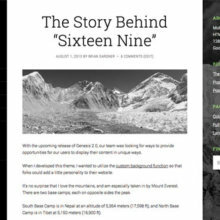 Genesis includes a “Blog” page template for creating the blog. 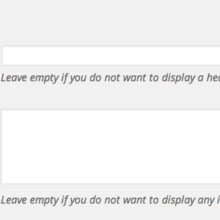 But don’t use this – do it the proper WordPress way. 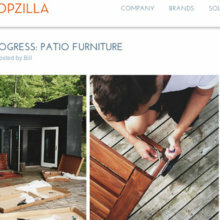 Does your blog sometimes look like the above screenshot, with some words floating next to the featured image? This tutorial shows you how to fix that.